Zuumin, by doctors suggestion, will be on an indefinite hiatus for the time being while she recovers from an illness. The post doesn't mention what her illness is, so it could be anything from exhaustion to a flu or worst case scenario, a chronic illness that may affect her idol life. To everyone who has always been supporting Keyakizaka46, I am truly sorry for causing you to worry. I want to quickly get back to my healthy self, because I am really looking forward to be able to see you all once again! If you would be able to just wait a little while more, That would realｌy make me happy. Keyaki will be having a very busy next two months, so hopefully, we'll see Zuumin back right around the end of August! I hope she gets back soon, she is my favorite member. 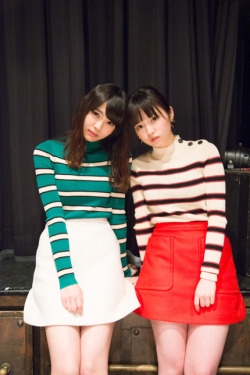 Some have speculated that because Neru said 21 members would be performing at a concert later this summer, Zuumin is scheduled to make her return then. personally, i think she looks great! She's lowkey giving me nanase vibes..
WOW I didn't expect this change in Zuumin. She looks good! She looks great with short hair, I hope she still can put it up in a ponytail. Is that a recent photo? She's back! Just in time for the last concert of the august shows! Zuumin is taking a break again. Seems like its only until the end of the year which isnt too bad! I'm glad as long as she gets some rest! Zuumin is incredibly charming and it was her song about meats on Keyabingo that made me stan her. I have found some songs of hers on youtube and her voice is incredible, plus she is astoundingly beautiful and an absolute cutiepie. Here is a translation of her blog post regarding the graduation.. I don't know what to say... Zuumin has been such an iconic member in the group even throughout her hiatus. 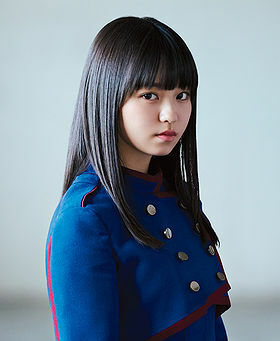 I've never had a doubt in my mind that she would be pushed as soon as her health got better, which we saw when she was made center for Garasu in Techi's absence.. but to see her announce graduation so soon... her health must really not be good. My heart hurts a lot, but I would rather she do what's best for her. I hope she gets an amazing send off with all 21 kanji members present.